House cleaning… isn’t the most fun thing for me. I know there are some people who find cleaning therapeutic, and just start cleaning when they’re feeling under the weather or whatever, but that is not me! The only things that make cleaning better, for me, are knowing that the house will look and smell nicer when I’m done (and that I won’t be embarrassed to have friends over!) and knowing that I’m not using toxins in my cleaning products. There are so many dangerous chemicals in commercial cleaning products- known carcinogens, irritants, and other nasties that really shouldn’t be used in your house or around people at all. So don’t fall for all those pretty, sparkling commercials about how wonderful those commercials cleaners are and how they’ll clean your house for you with hardly any work. Mr. Clean isn’t attractive. He’s full of chemicals and lies. But thankfully, there are plenty of alternatives! Did you know that you don’t actually need chemicals, gloves, or bleach to get your cleaning done? Ever? 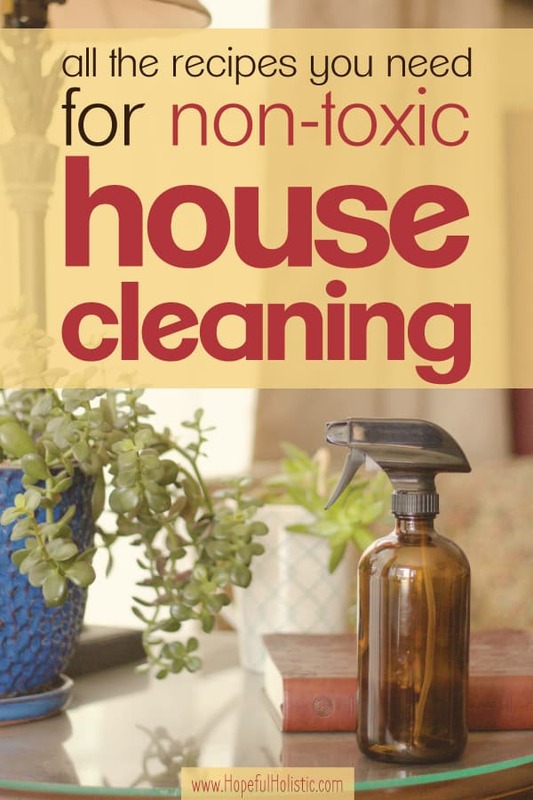 You can get a ton of toxins and chemicals out of your house just by switching to all-natural cleaners. You can easily DIY a lifetime supply of your own all-natural cleaning supplies from simple ingredients- items you probably already have around your house! And if you have kids, these are all safe for them to use and be around. No more worrying about them getting into the bottle of toilet bowl cleaner, or licking those countertops you just disinfected. 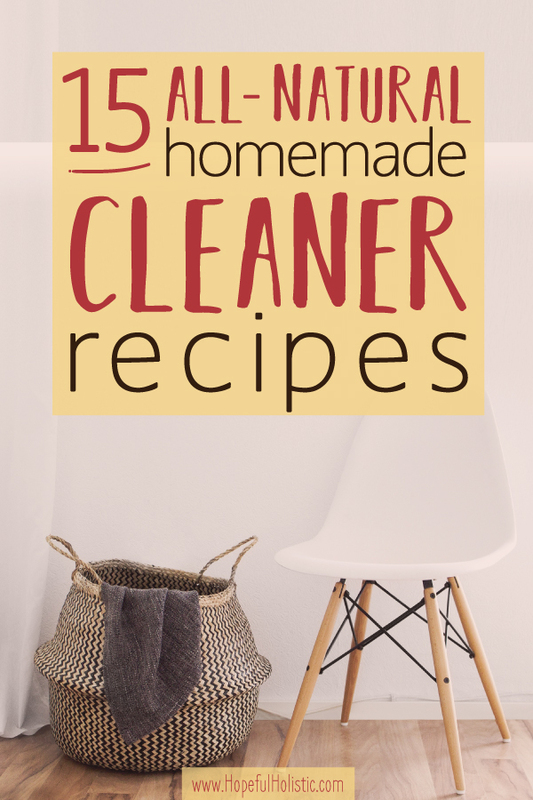 AND, as if you need another reason to make your own cleaners, the ingredients for all of these are super cheap! There’s no need to go running to the store for some expensive, “top-of-the-line”, commercial cleaner when you can toss together a couple simple items and have your own effective, non-toxic cleaner ready in seconds! Not only will your shower sparkle… your conscience will be clean too! Before you get started on these recipes, there are some supplies you can stock up on that are used in a ton of these recipes. Baking soda can help scour and remove stains. Because it is slightly alkali, it can make dirt and grease dissolve easier in water. It is also an effective deodorizer. White vinegar fights against germs, odor, and grease. You can use it in almost anything for an all-natural solution to your messes! Just don’t use vinegar on marble or granite surfaces. 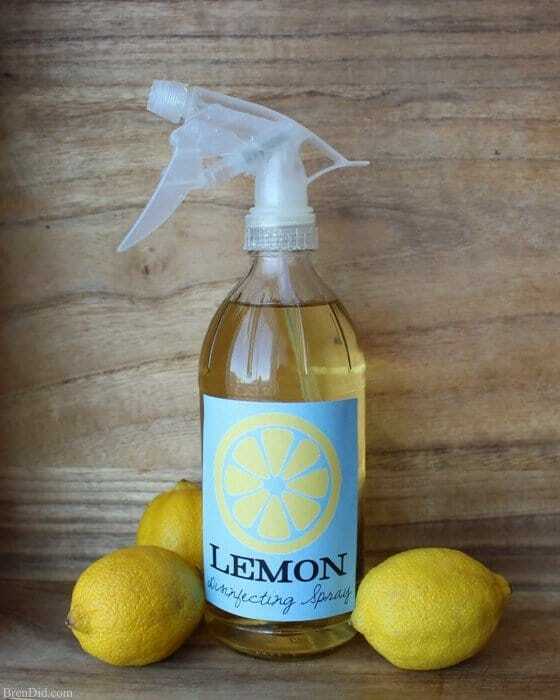 Lemon is a fantastic ingredient for cleaning pretty much anything! It’s antibacterial, fights grease, and helps with any odors. In fact, any kind of citrus is useful in your DIY cleaners. Castile soap is a natural soap (made from vegetable oil instead of synthetic ingredients) with nearly unlimited uses. To see some of its uses beyond just cleaning your house, click here! Glass spray bottles are handy because there’s no chance of any of your cleaners absorbing chemicals from the plastic bottles they’re in. (That would be counter-productive, wouldn’t it?) You can use your leftover bottles from empty commercial sprays, but glass is safer if you’re going to be leaving the liquid in there for a while. Here are 15 easy ways you can make your own cleaners to make your house shine and smell amazing, from top to bottom. Stainless steel doesn’t need harsh chemicals or toxic scrubs to get them looking brand new! Try making your own and see what a difference it makes to your appliances. I know my kitchen is… umm… very well loved, and a regular cleaning like this makes all the difference. And the best part is- there are only two ingredients! Find the recipe for stainless steel cleaner here. Now there are tons of recipes for your dishwasher that have multiple steps for each load of dishes you want to wash… but not with this one! You can prep as many tablets as you want, and each dishwasher load only takes one! And this recipe does still use a small amount of liquid dishwashing soap- but it’s still cheaper than going 100% store-bought! 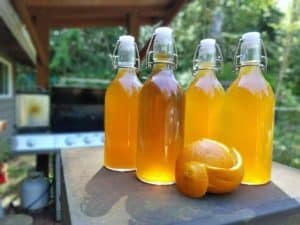 If you don’t have time to DIY, this is my favorite all-natural, non-toxic liquid dishwashing soap. Find the full recipe for dishwasher detergent tablets here. This easy recipe, on the other hand, has completely all-natural ingredients that won’t dry out your hands or mess with your health! Just make sure to shake the bottle each time before you use it. Find the recipe for all-natural dish soap here. Store-bought oven cleaners are one of the worst sources of toxins you’ll find in household cleaners. They have ammonia and lye, which eat away at your skin, fumigate your lungs, and stick around in the oven for next time you bake something. So that’s fun. I get that you need something tough to work against built-up grease and messes in the oven, but that doesn’t mean you need to resort to toxins! This recipe uses three simple ingredients, which work just fine even against the toughest gunk. And you don’t even need to use gloves! 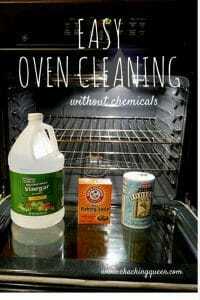 Find the recipe for oven cleaner here. 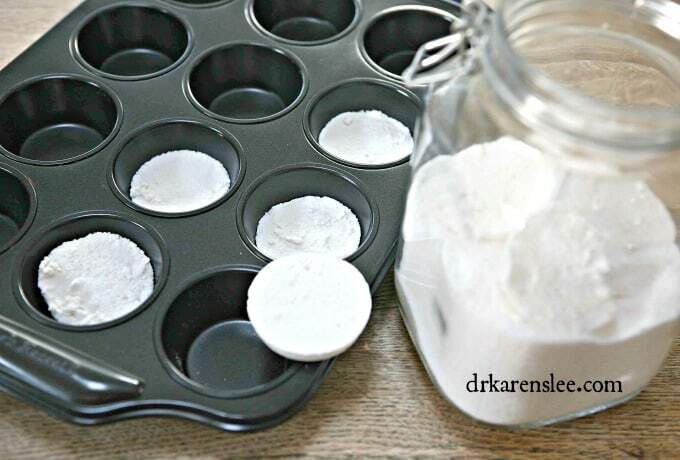 This recipe uses washing soda, which is different from baking soda- you can get it here. Most commercial detergents use chemicals and products we would never think of putting on our skin (including formaldehyde and chlorine), but those toxins are never fully removed by the time we let those same clothes touch our skin. When I run out of my own detergent and need to get a load done, I use this detergent instead. Changing to an all-natural detergent recipe can help with a ton of health issues, including allergies and skin reactions! Find the recipe for liquid laundry detergent here. 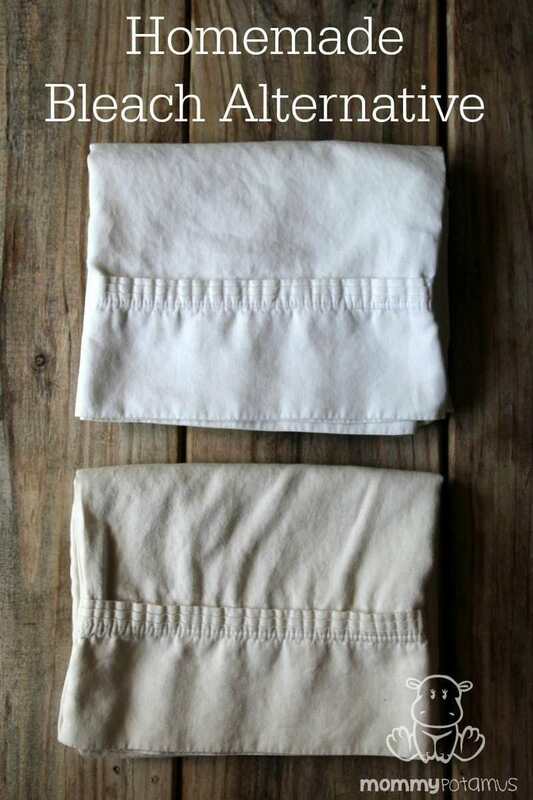 At one time I had just given up on ever having perfectly white clothes and sheets, and had decided to just buy off-white or dark colored linens, but then I found this recipe! It’s a tried-and-true alternative to chemical bleach whiteners. Bleach is awful for both us and the environment and should be avoided at all costs. But there are options! This recipe uses three simple ingredients to transform your off-whites back to true white. It’s almost like a magical frog-into-prince fairytale come true. Almost. 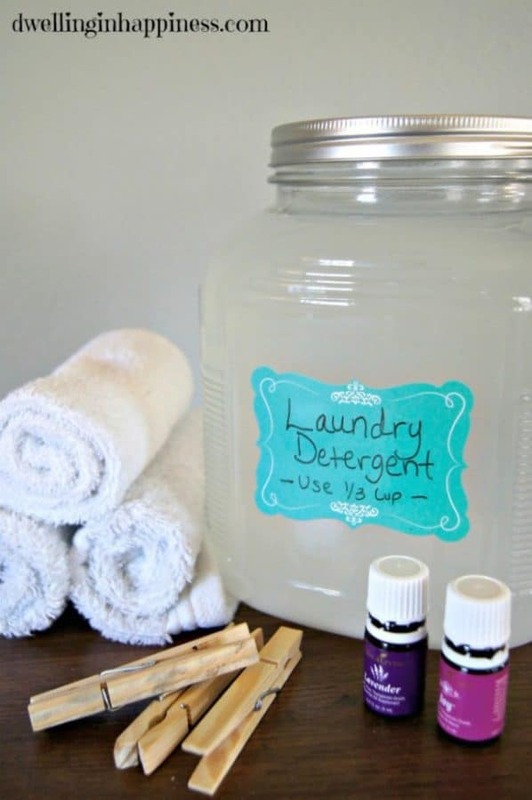 And this is another great way you can put that washing soda from your homemade laundry detergent to good use! Find the recipe for homemade bleach here. It’s super hard to find good, all-natural brands of glass cleaner. And the ones you make yourself usually leave a streak that can be hard to get off… But not this one! It’ll also save you 90% off what you can find in stores. No big deal. This super-simple recipe uses five ingredients to create a cleaner that gives a streak-free shine to windows, glass appliances, mirrors, stainless steel, aluminum, and more! This cleaner also works great when you use it with microfiber cloths- they’re a super handy tool for any kind of DIY home cleaning! 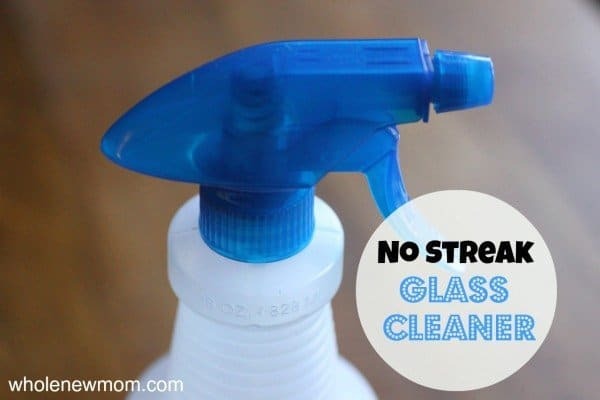 Find the recipe for no-streak homemade glass cleaner here. If you want to see some more easy DIY glass cleaner recipes, check out this post- 5 amazing homemade glass cleaner recipes. Now grills are one of those things that can just get gunk baked on to it so quick… I had always thought it either needed some extra-strength chemicals (or extra-extra-strength elbow grease) to clean. You don’t need to spend all day burning off the stuck-on stuff either! The secret ingredient in this DIY cleaner is citrus– you can use essential oils or fresh citrus peels! Find the recipe for grill cleaner here. I think it’s terrible that one of the most enclosed places we clean -the bathroom- also uses some of the most toxic chemicals. You just don’t need to be breathing that nonsense. This recipe uses vinegar, baking soda, and castile soap (are you seeing a pattern yet?) and one of my favorite essential oils, tea tree. Tea tree essential oil is fantastic for cleaning because it’s antimicrobial and helps fight bacteria and viruses. And it’ll leave your bathroom smelling clean and wonderful! This recipe is an all-purpose bathroom cleaner, but it does note that you should separate the baking soda and vinegar for a stronger cleaner- when put together, baking soda and vinegar neutralize each other and don’t work quite as well. 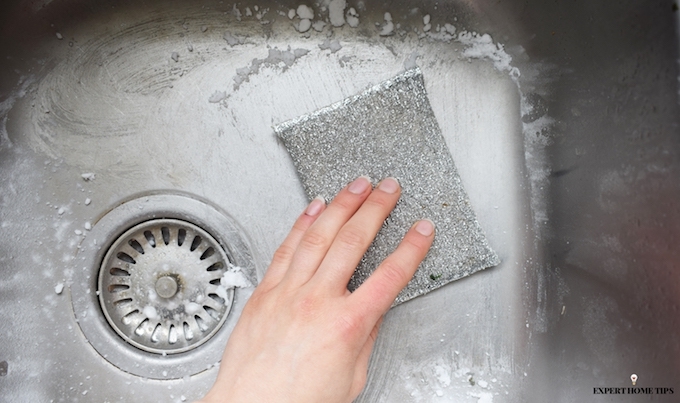 For really tough spots, apply the baking soda first and spray on the bathroom cleaner a few minutes later. Find the recipe for homemade bathroom cleaner here. Ahh, the porcelain throne. Everyone’s favorite thing to get up close and personal with. 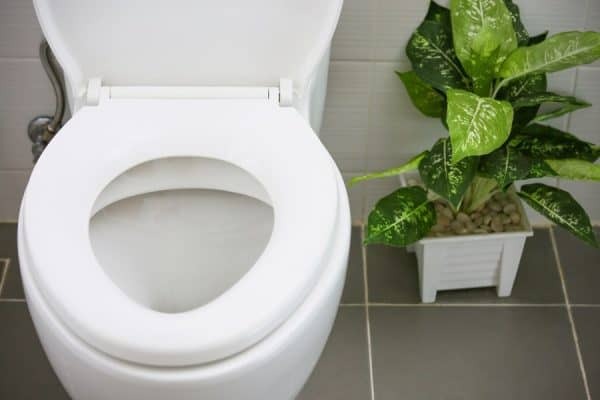 I totally agree with the author of this article that I used to think that the blue stuff that stuck to the sides of the toilet was really getting the toilet bowl clean– and that nothing else worked. Dangit, commercial cleaners marketing team! They really had us going- you don’t need a fancy-shmancy, chemically, icky blue goo toilet bowl cleaner to quickly and effectively clean the loo. It also includes two optional ingredients to either help fight germs (you guessed it-essential oils), clean the outside of the bowl, or to help with really tough cleaning jobs. Find the recipe for toilet bowl cleaner here. Here are some DIY recipes to help you freshen up the air in your house! Air pollution indoors can sometimes be even worse than outside, since there isn’t much air movement and the air can get old and stagnant, especially when combined with toxic air plugins and chemical sprays. Make sure to open your windows for fresh air every day. Even cracking a window open for 10 minutes in the winter can help a lot with the quality of air in your home! For another way to clean the air in your house, check out my post on how to smudge for energy clearing. Commercial air fresheners are nasty. We are never ever ever getting back together. I used to work somewhere with one of those plugin air fresheners, and it. was. awful. After an hour or so of being exposed to the fumes, I’d start feeling dizzy, lightheaded, and get a headache. There’s no way to “breath happy” when you’re breathing in those noxious fumes! Now y’all should know I’m a big fan of using essential oils in a diffuser, but there are times you might just want an easy spray to immediately freshen up your house. Thankfully, there are alternatives to the chemicals! This recipe is crazy easy, and you can use it any time you need to give a room a quick pick-me-up before company comes over, after the dog barfs, or whenever. I also love this article because it gives you plenty of reasons to never ever use store-bought Febreze again. Like ever. Find the recipe for a homemade air freshener here. Now this one’s really kind of like an anti-cleaning recipe. That’s because one of the ingredients help prevent dust! I live somewhere that’s super dusty -like all the time- and this is a life-saver. Spray this and end up having to dust less often? Yes please! The secret ingredient is great for your wood surfaces too. 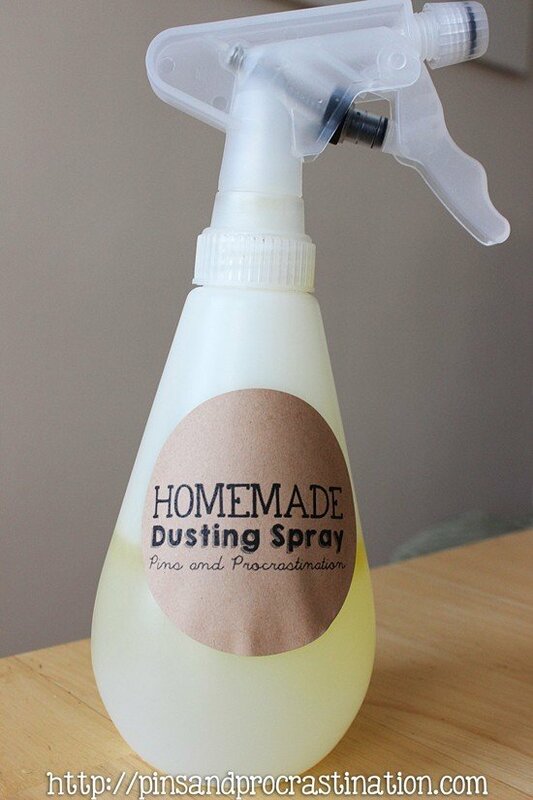 Find the recipe for dusting spray here. This recipe will take a little longer to prep because you need to infuse alcohol with lemons for a few weeks before using it. But it’s worth the wait! Ethanol is one of the main ingredients here- it’s what makes up 40% of vodka, and this article talks about how it’s also used in hand sanitizer. However, you really shouldn’t use hand sanitizers with alcohol, because it dries out your hands and can actually make you more susceptible to germs. Ethanol is just fine when used in a disinfecting spray though! 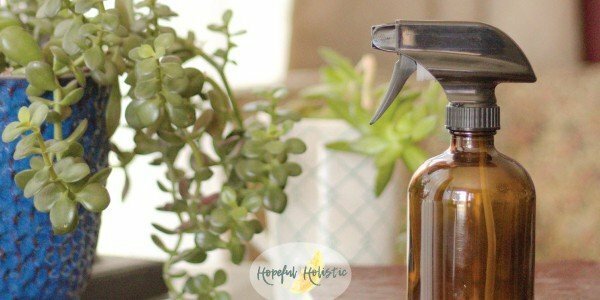 Use this easy-to-make spray any time you’re worried about germs- especially during cold and flu season! 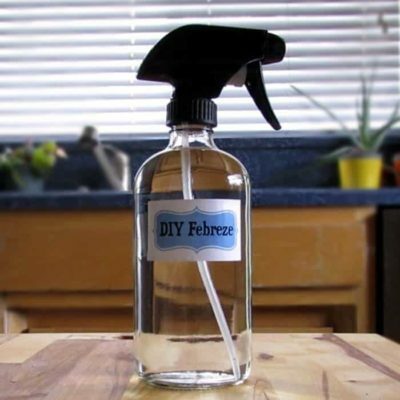 Find the recipe for disinfecting spray here. This awesome recipe has the added bonus of cutting down on the waste you need to make a DIY cleaner! It actually has two recipes for an all-purpose cleaner. Bonus! It’s simple (again… surprise!) and makes things smell good. Use it in your kitchen, bathroom, and on glass! Find the recipe for all-purpose cleaner here. This is a great one to get the kiddos to help with- like so many of these other recipes, it’s harmless, so no need to worry when your kids are using it! 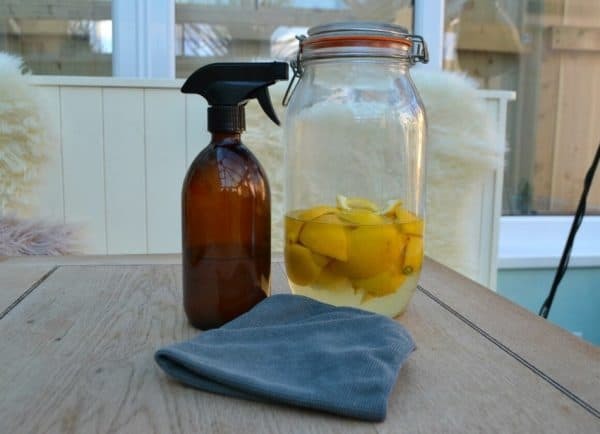 Find the recipe for all-purpose lemon and lavender cleaner here. There ya go! Everything you need to make your house clean, scoured, and smell good- naturally! And don’t even worry about using up the last of your chemical cleaners- just toss those nasties. Then you can either reuse or recycle the bottles, and not have any more toxic products in your house to worry about! And if you’re curious about more all-natural, DIY recipes, check out my posts on how to make your own makeup (and clean alternatives to buy)and this one on natural, non-toxic sunburn remedies! Want to get more toxins out of your life? Using toxin-free cleaners is just the beginning! You have the option to start removing harmful toxins from other areas of your life also. For more information, download my free guide on reducing toxins! Using toxic cleaners it like smoking too me. The facts are in, while do people to still use them! Great tips and round up of recipes. Thanks! And I agree, toxins are so harmful!! Hopefully more people will start catching on soon.